CLEAN TITLE!! 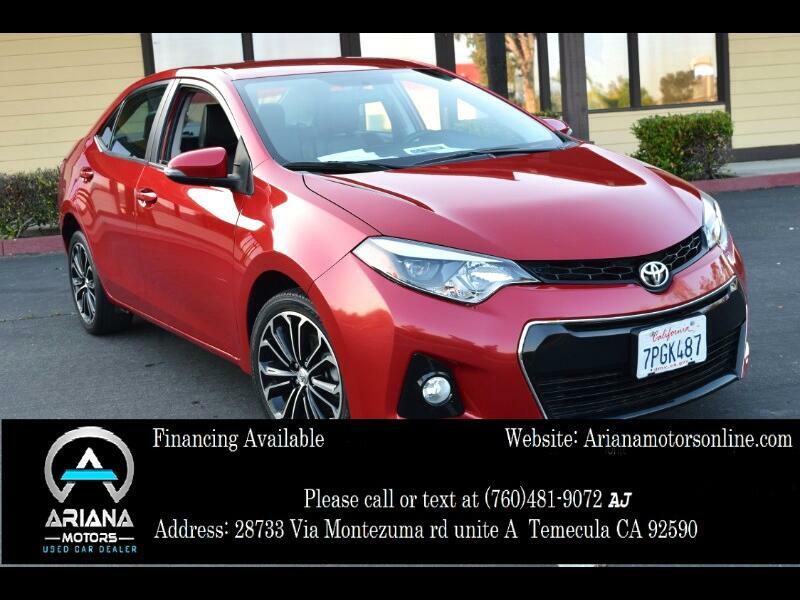 2016 Toyota Corolla S Premium CVT, 1.8L L4 Engine, Automatic Transmission, Clean Title with 35,400 Miles. This Corolla is absolutely beautiful with its Burgundy exterior and Black cloth interior. It’s equipped with Bluetooth, Heated Front Seats, Satellite Radio, Tire Pressure Monitor, AM/FM Setero, Bucket Seats, Cruise Control, Daytime Running Lights, Keyless Entry, MP3, AUX and many safety options. If you’re looking for power and style then this car is for you! It drives like beauty with plenty of options it won’t disappoint. Call today for financing options or with any questions. Manufacturers' Warranty includes 3 yr/36,000 mi basic, 5 yr/60,000 mi powertrain.